A firm takeout favourite! With its signature curry flavour and yellow hue, Singapore Noodles are made with thin rice noodles, prawns/shrimp, Chinese BBQ Pork, egg and red capsicum/bell peppers. 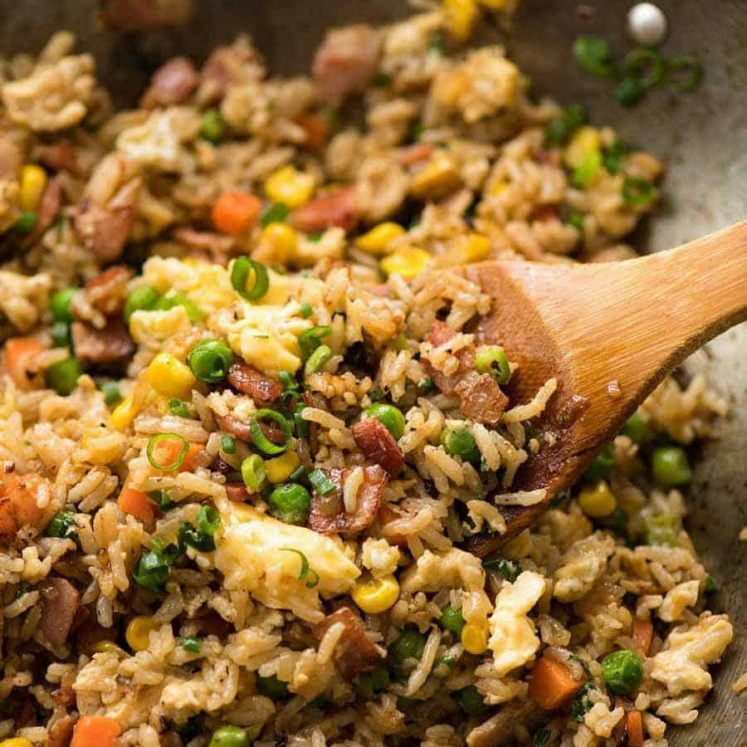 Don’t fret if you don’t have all the ingredients – this is worth making with whatever you have! 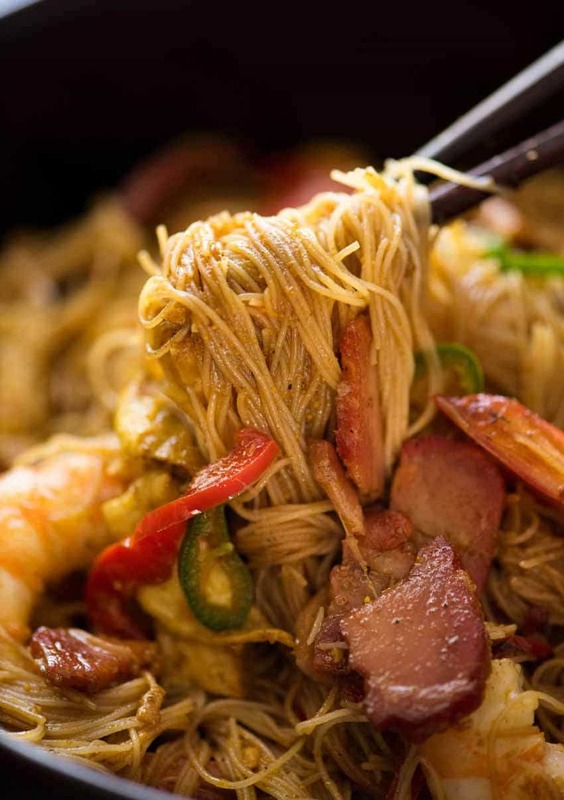 Singapore Noodles are so popular here in Australia that it appears on the menu of most suburban Chinese restaurants, whether they serve other Singaporian dishes or not. Though if you seek out Singapore Noodles in Singapore, it will allude you as much as the mythical notion that there are koalas in every Aussie backyard. 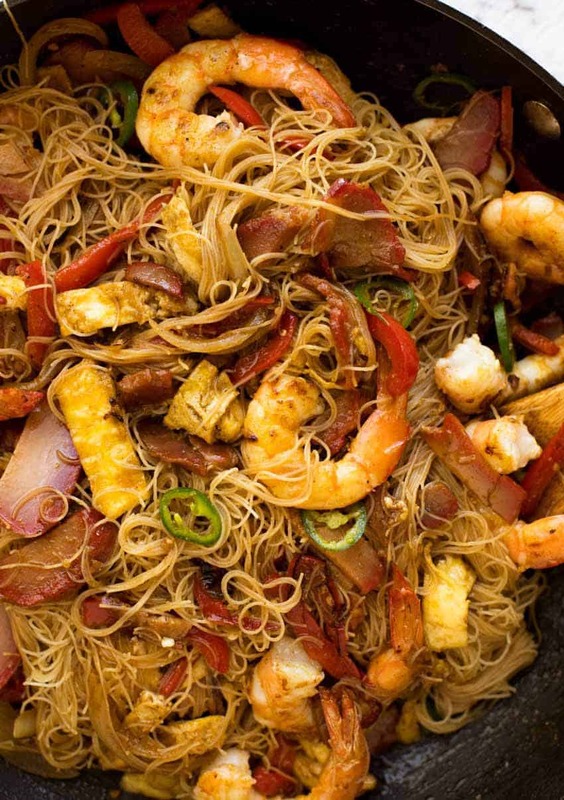 Singapore Noodles are delicious, and we will always love it! 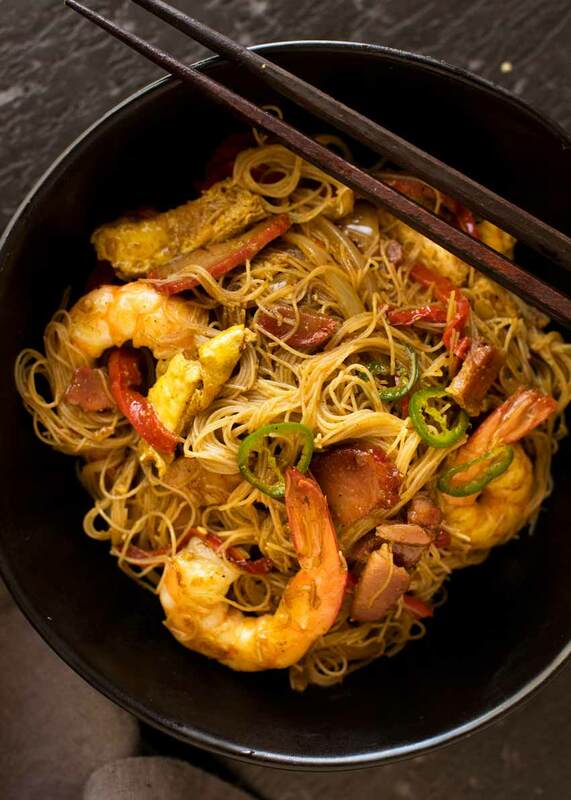 Singapore Noodles are made with thin rice noodles called vermicelli noodles. They’re very common nowadays, sold at all supermarkets. 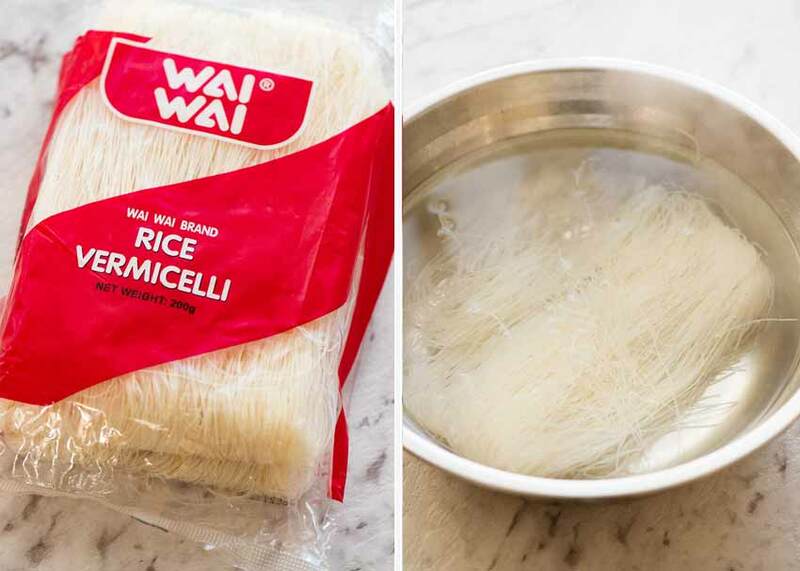 Wai Wai is my favourite brand – I find that it holds up the best to lots of tossing action – and you’ll find it at Woolies, Coles etc here in Sydney. 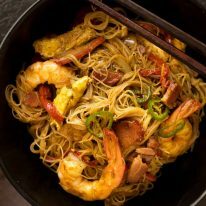 You’ll almost always find prawns/shrimp and Chinese BBQ Pork (Char Siu) in Singapore Noodles, as well as egg. If you don’t happen to have a stash of Char Siu in your freezer, don’t fret! You can make some quickly with pork chops using either a store bought Char Siu Sauce or homemade. Just a 20 minute marinade then pan fry or bake – directions in the recipe for both options. Or – skip it, sub with chicken/bacon/ham. It’s still going to be a super tasty meal! Singapore Noodle Sauce is made with soy sauce, Chinese Cooking Wine, curry powder, sugar and pepper. As with most stir fries, once you get the ingredients ready, the cooking part is pretty quick. Albeit with this recipe, there are a few more steps than most because the prawns and egg are cooked separately first before proceeding with the recipe. 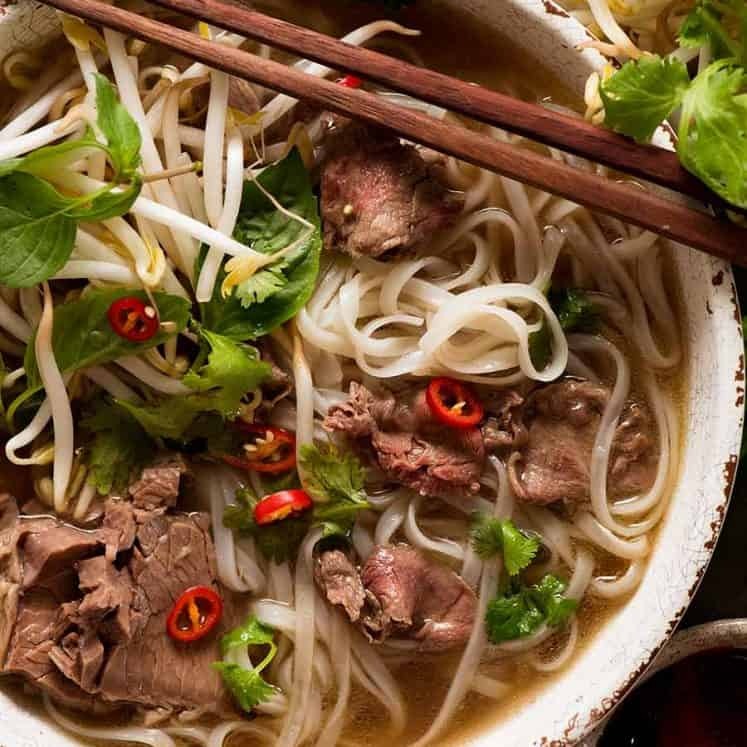 Browse the Noodle recipes collection! Noodle Salad with Creamy Sesame Peanut Sauce – terrific for work lunches! 1. Soy - I use all purpose soy sauce (Kikkoman) or light soy sauce. I don't recommend dark soy sauce, the flavour is too intense. 2. Chinese wine - Also known as Shaoxing wine. Substitute with dry sherry, cooking sake or Mirin. If you can't consume alcohol, use chicken broth. 3. 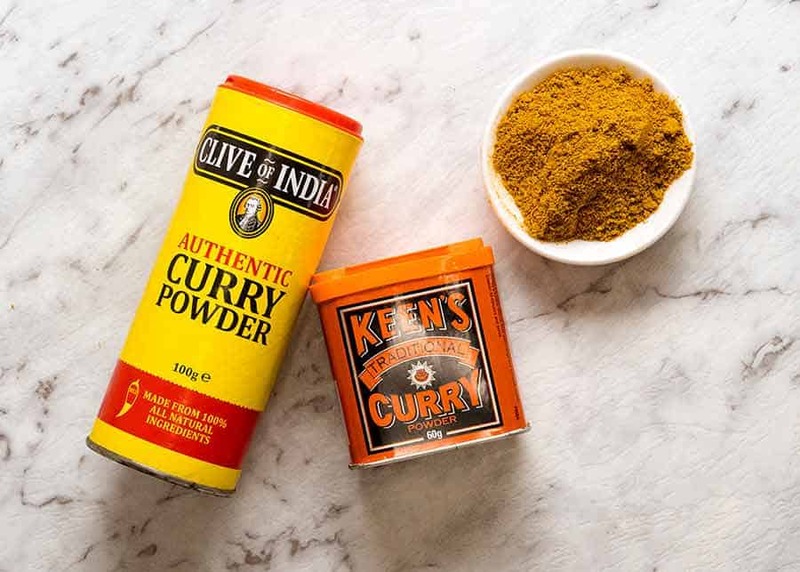 Curry powder - Any generic curry powder is fine here. I use Keens or Clives of India, both sold at supermarkets. I use hot because I like the spice! 4. Noodles - Wai Wai is the brand I recommend if you can get it, for both texture and also it holds up well to lots of tossing action. Rice vermicelli is very cheap - usually $2 for quite a large bag - and nowadays you'll find it at everyday supermarkets. 5. 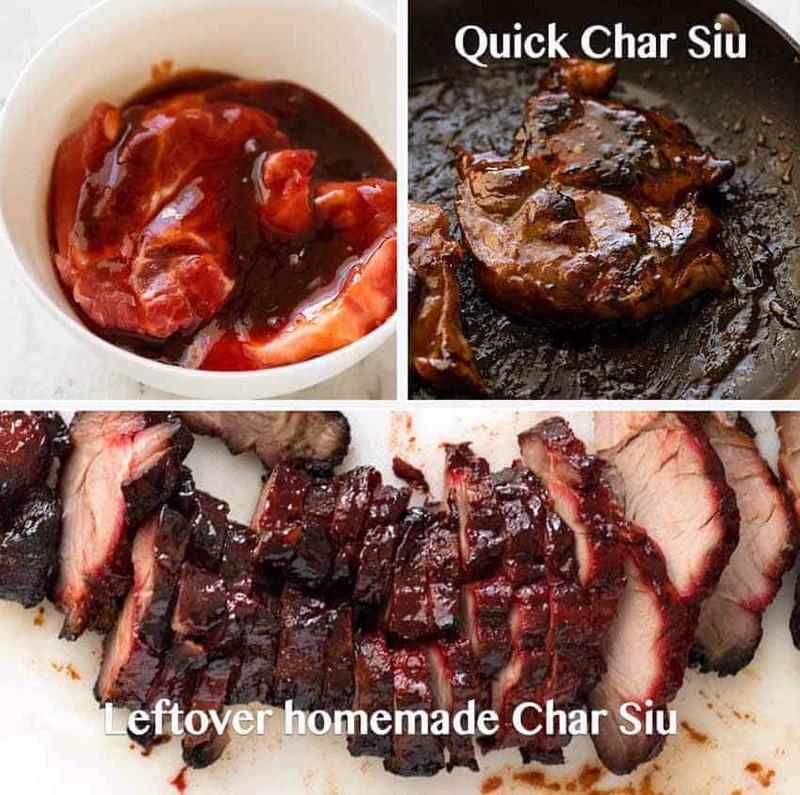 Char Siu - If you don't have store bought or homemade Char Siu substitute with diced chicken, bacon, ham or pork, leave it out and/or add more vegetables. For a quick Char Siu, make a small quantity of the Char Siu marinade, marinade pork chops for 20 minutes then pan fry on medium until caramelised, or bake at 180C/350F for around 20 minutes. Then use per recipe. Originally published April 2015, updated June 2018 with new photos, video added and rewritten post. No changes to recipe - it's great as it is! 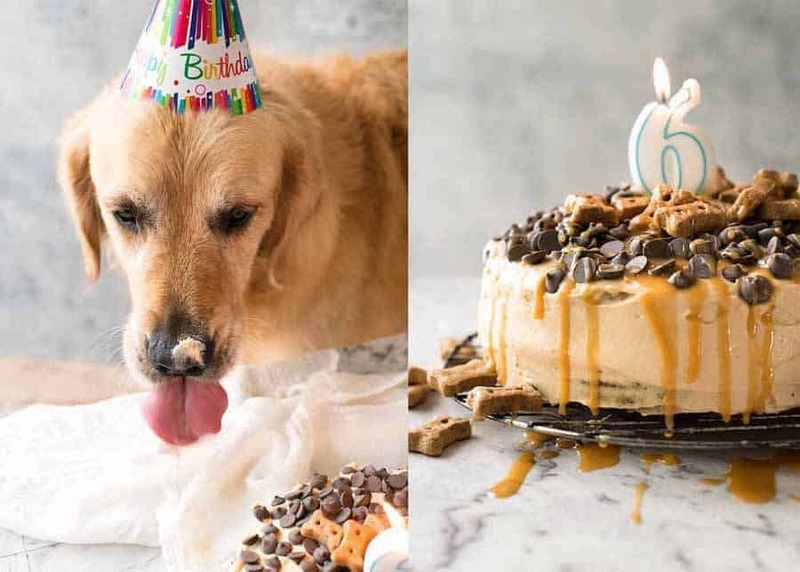 With all the kerfuffle over his injury, I totally forgot to share THIS – his 6th birthday!! This was really good! I’ve ordered Singapore Noodles for many years but never tried making it at home. It was delicious. I think I scaled back on some of the ingredients. For just 3 ounces of noodles, a full 1/2 pound of pork seemed excessive, as was the full cup of red bell pepper, so I reduced those. And I added a couple of sliced scallions at the end. Like others, I had some trouble getting the ingredients to blend in with the noodles, but who cares. The final product was great! I’m so glad you loved it Davey! I thought I’d add to this: The Singapore noodle is actually a name (for whatever it is!?) to one of our local favourite dishes Fried bee hoon. 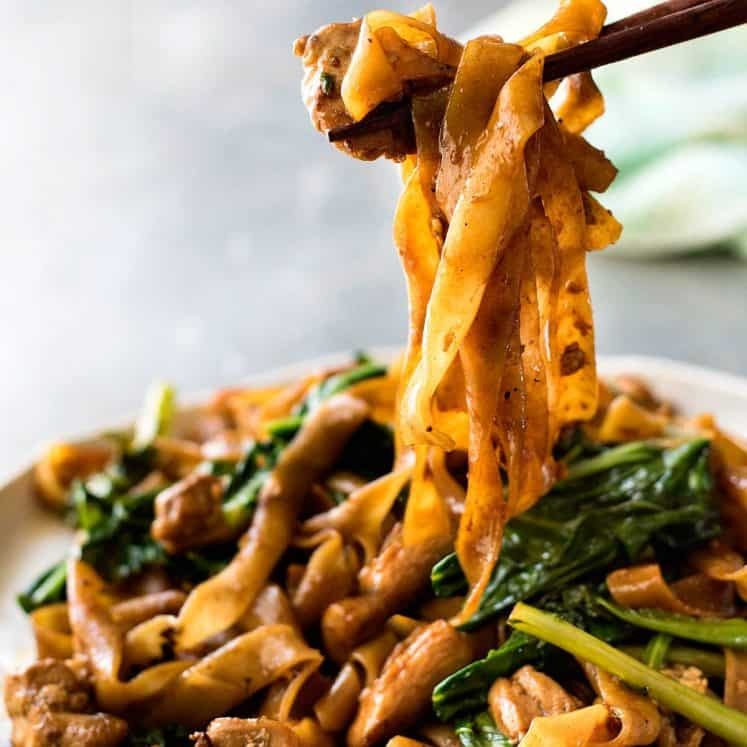 Except as one said..it doesn’t have curry powder but utilizes a mix of oyster sauce , light and dark soy sauces and aromatic oils such as sesame. 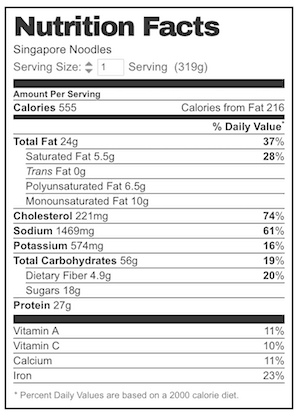 Otherwise all the ingredients are pretty similar. I do wish people stop calling that ‘Singapore noodle’ and refer it to as bee hoon, but that’s me being a stickler! Thanks so much Felicia, so happy you loved it! Read your recipes daily, and have made many of them, have never been disappointed. Very good site. Super Lou! So happy that you’ve enjoyed my recipes so far! This is definitely on my regular list now.Very authentic,my husband loved it and so did I. I cant eat pork so used chicken. Thank you and I am going to try more of your recipes ! I love this recipe and use it often. I do a vegetarian version, so increase the eggs to 6, add a few extra vegetables and also double the sauce. Once the noodles are cooked I use kitchen scissors to snip them into manageable lengths before I add them to the vegetables. Thank you very much for sharing. Made this the other night. I used the char siu recipe for the chicken I used instep of the pork. It was sooo good. Made the singapore noodles and doubled the recipe. It was delicious, my family loved it and said it tasted even better the next day. I was in hong kong recently and this recipe tasted as good as the ones i had there. Definitely a keeper for dinner, I would not change anything it was perfect. Made this yesterday for dinner, using the Chinese barbecue pork (Char Siu) recipe from the site. Had no white pepper so just used black. And I added the green chilies after the wife dished herself out. Everything else was followed exactly. I used a big Wok and it all worked out wonderfully. It was very very good! Definitely will make again. Thank you so much! I’ve been a ‘silent’ subscriber for a few years now and enjoyed cooking many of Nagi’s recipes for family and friends. This is one of our favourites and is being cooked again for family tomorrow night. It is easily doubled or tripled for larger numbers. For those that have more ‘delicate’ taste buds you can reduce the curry powder & green chillies. We cook this in a very large pan rather than the wok and this may help with the ‘giant noodle ball’. I made these Singapore noodles for dinner last night mostly following the recipe (made the sauce exactly per the recipe and used the rice vermicelli, however used pork mince with some char siu sauce mixed through for the meat, and some carrot and zucchini for the veg – I was cleaning out my fridge!). Anyway, it was very yummy and I will definitely make this my go-to “clean out the fridge” recipe. One thing I would say is the white pepper in the sauce was a little strong for my taste (generally not a lover of white pepper) so I may adjust it down a little next time. But as usual, my main issue was mixing the meat, veg, and egg through the noodles. I ended up with a giant noodle ball and everything else at the bottom of the wok – any tips on that front would be appreciated. Thanks for another yummy recipe Nagi! !